Phil wakes up in the middle of a cemetery, only to discover he’s been dead for a few months. He is now what you would normally call a “zombie”, although the term does feel slightly derogatory to him. And now that he’s back among the living, everyone seems to have gotten on with their own lives – including his now ex-girlfriend, who has recently started dating someone else. Phil’s best friend Jeff lets him sleep, unaware that Phil had an affair with his girlfriend while he was still alive. 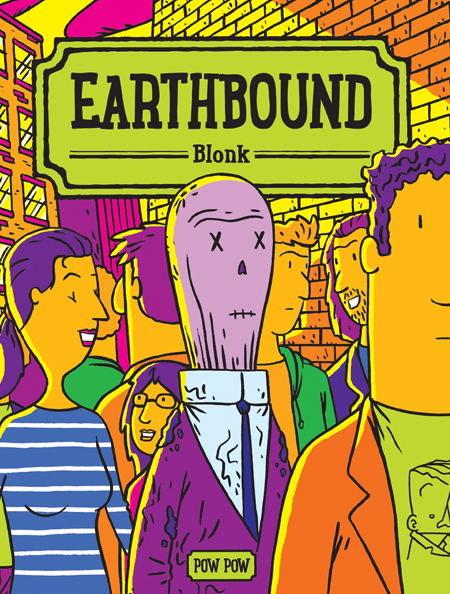 Earthbound starts out as a comedy, as its zombie protagonist tries to make sense of his strange predicament. But it gradually turns to darker territories, exploring themes such as friendship, trust and infidelity through the prism of its original premise. Nominated for the ACBD Québec Award and the Marc-Olivier Lavertu Award. Winner of the Réal-Fillion Award.